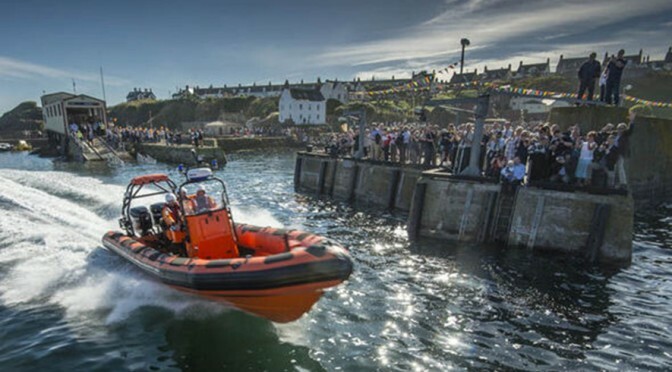 We are delighted to announce that St Abbs Lifeboat has been awarded the Eastern Borders Development Association award for 2016. 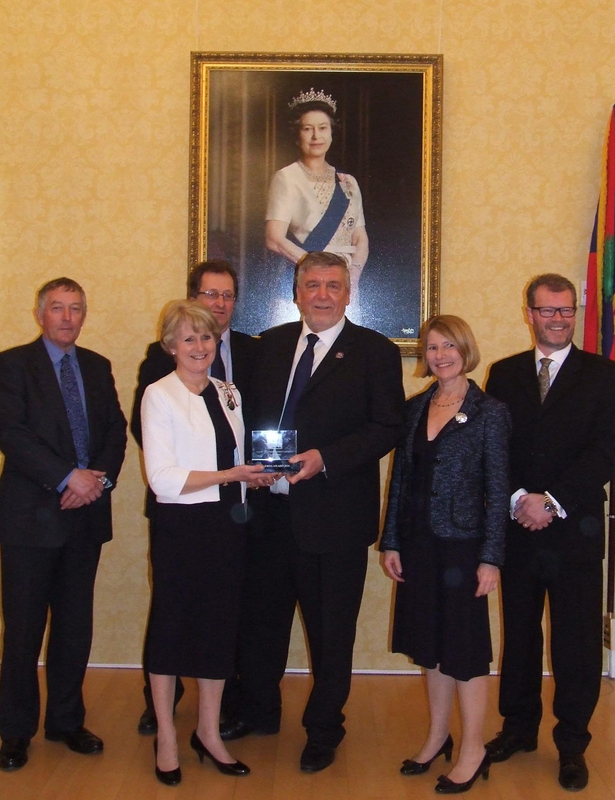 Alistair Crowe accepts the award from Lord Lietenant Jeanna Swan. 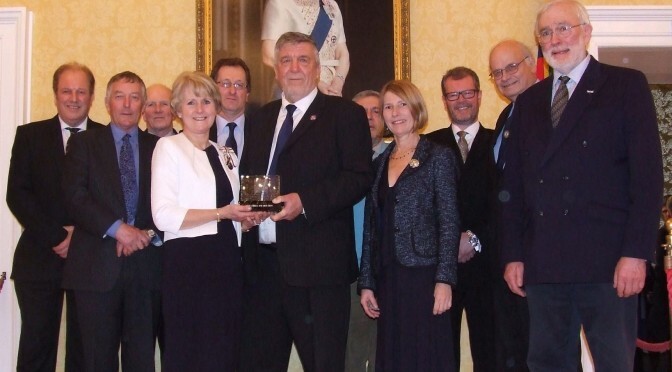 At a special 40th anniversary reception on the 6th March 2017, five members of our committee were presented with the award by the Lord Lieutenant of Berwickshire Jeanna Swan, in front of a specially invited audience which included previous award winners, local dignitaries and councillors from both the Scottish Borders and Northumberland County councils. We would like to take this opportunity to thank our local Councillor Jim Fullarton for our nomination, and also EBDA and its Trustees for awarding us this prestigious prize. 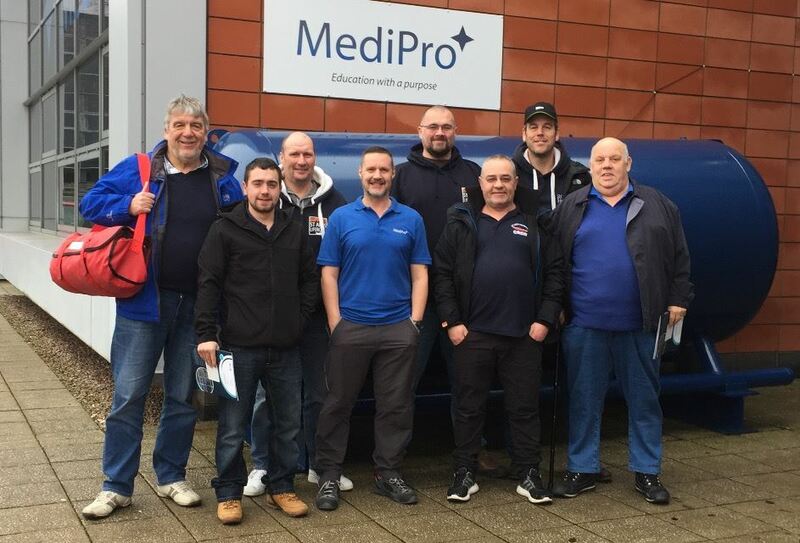 A big thanks to everyone at Medipro Limited for putting another seven of our crew through their ‘First Person On Scene’ first aid training. 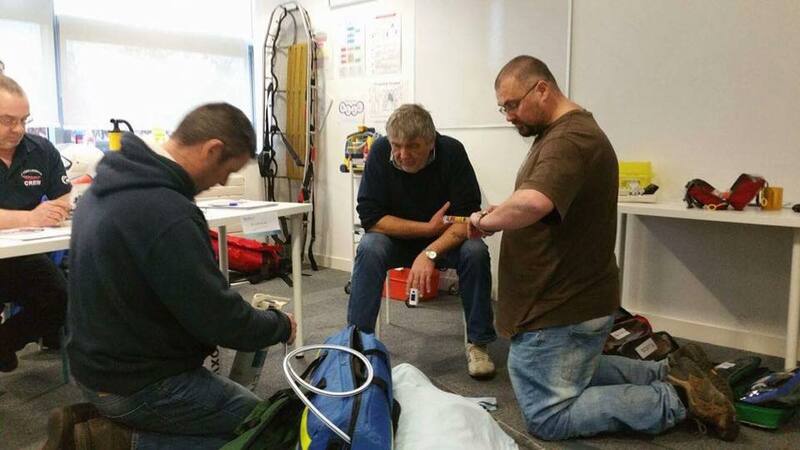 We are so proud of the commitment from our volunteer crew….not only do they practice lifeboat exercises twice a week, every week. 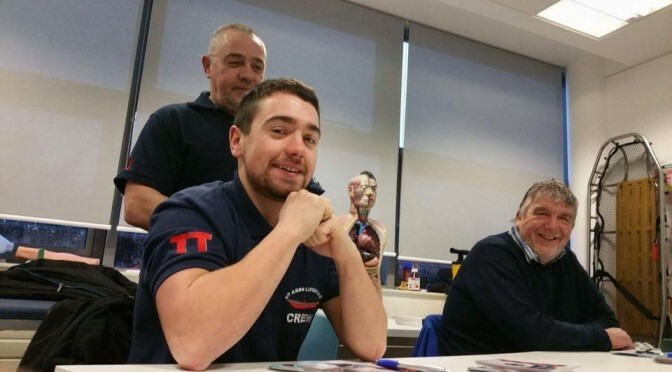 They have just spent three days away on this residential course. Saturday 17 September 2016 will be a day long remembered in St Abbs. 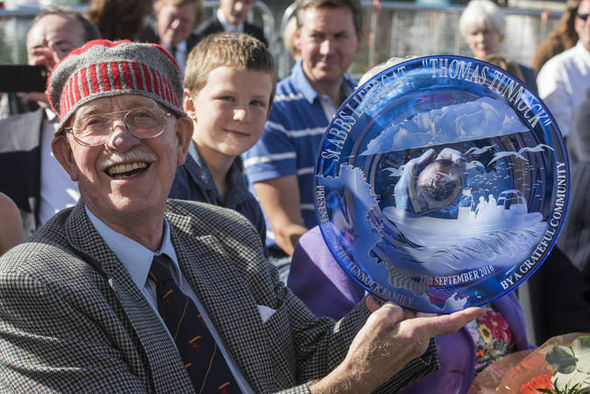 It was the day that we officially named our new lifeboat the “Thomas Tunnock”. After a lot or hard work and the support of so many the big day was finally here. 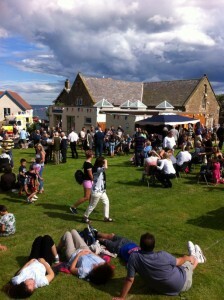 The weather couldn’t have been better and thousands of you came to see the lifeboat named. We’d like to thank all our supporters, each of you have contributed into making this special day possible. 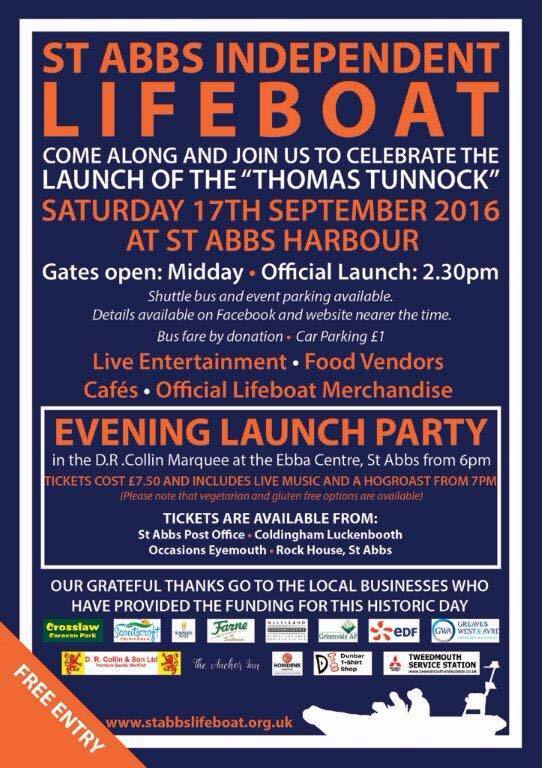 Our new lifeboat the “Thomas Tunnock” will be officially named and launched on Saturday 17th September 2016 at St Abbs Harbour. We would like to invite you come along and help us celebrate. The event starts at midday and the launch ceremony is at 2:30pm. On launch day access to the village will be restricted, with a one way system in place around the village. 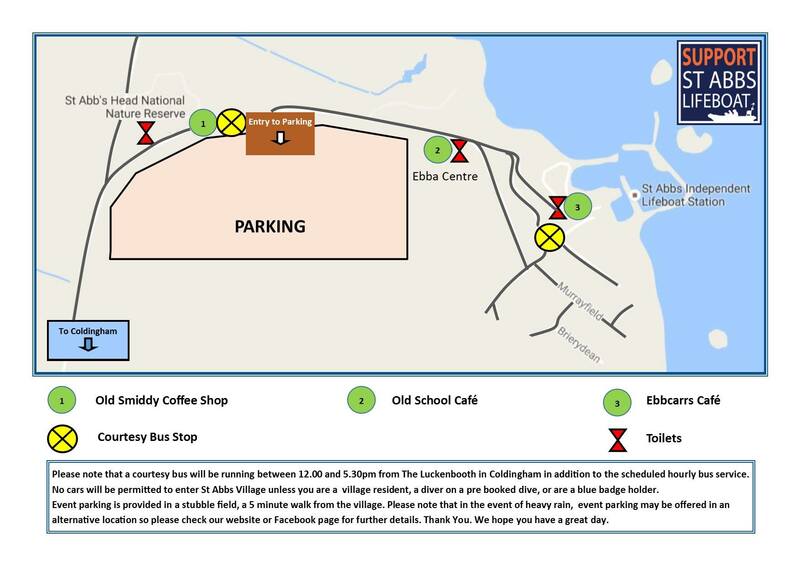 Additional car parking will be provided at Northfield farm, with a shuttle bus running between Coldingham, Northfield and St Abbs during the course of the day. 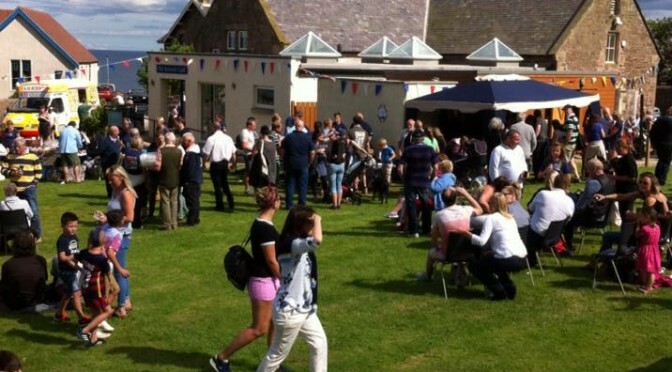 What a great day we all had yesterday, thank you very much to every who came out to support us… It was by far the busiest Lifeboat Gala Day we’ve ever had! To get the day to run as smoothly as it did takes a lot of work and a small army of volunteers. So we also need to say a huge thank you to all those who worked so hard in the run-up, and manned all the stalls on the day… you did a great job. 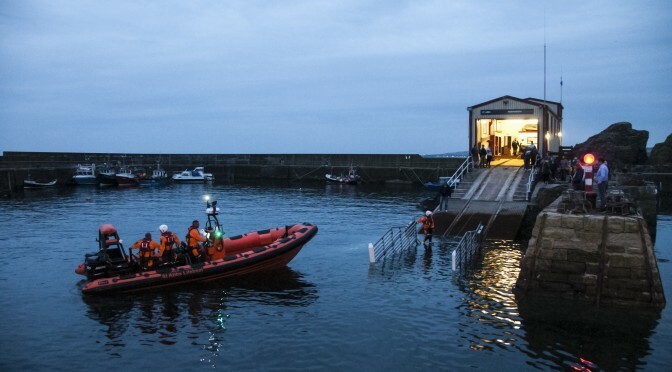 At four o’clock everyone walked down to the harbour to see a demonstration of our new lifeboat. Members of St Abbs Lifeboat were very pleased to welcome an unexpected guest this afternoon (26th April 2016). Scotland’s First Minister, Nicola Sturgeon, was in the area and dropped in for a coffee and a chat. She knew all about our story and has been very impressed with the community spirit and our fundraising efforts to put a lifeboat back in our little village where it belongs. 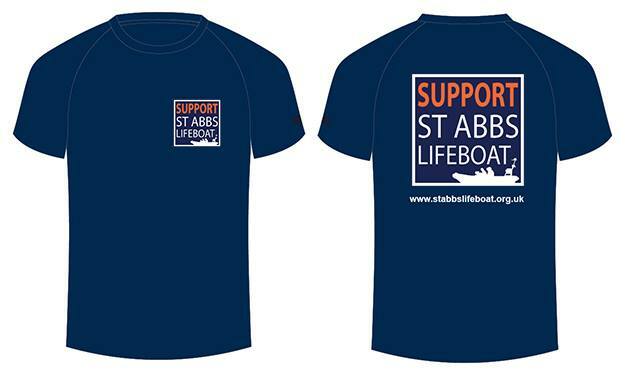 She is now the proud owner of her own St Abbs Lifeboat hoodie which was very welcome considering the biting wind today. We’d like to thank the First Minister for her visit and also our local MSPs and MP. 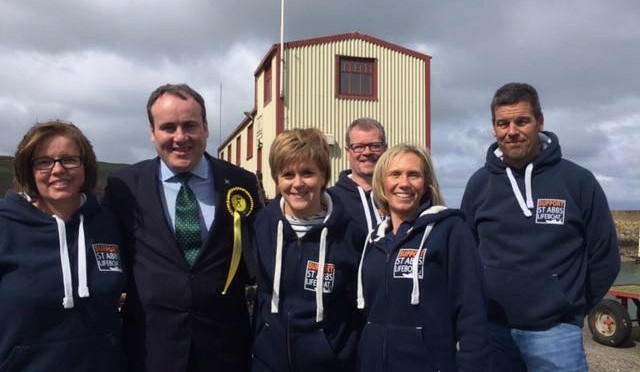 Regardless of their political persuasion their support for St Abbs Lifeboat has been fantastic. The early day motion was raised in the House of Commons by our local MP Calum Kerr (SNP) and our local MSPs John Lamont (Conservative) and Paul Wheelhouse (SNP) are great supporters of the St Abbs Lifeboat. 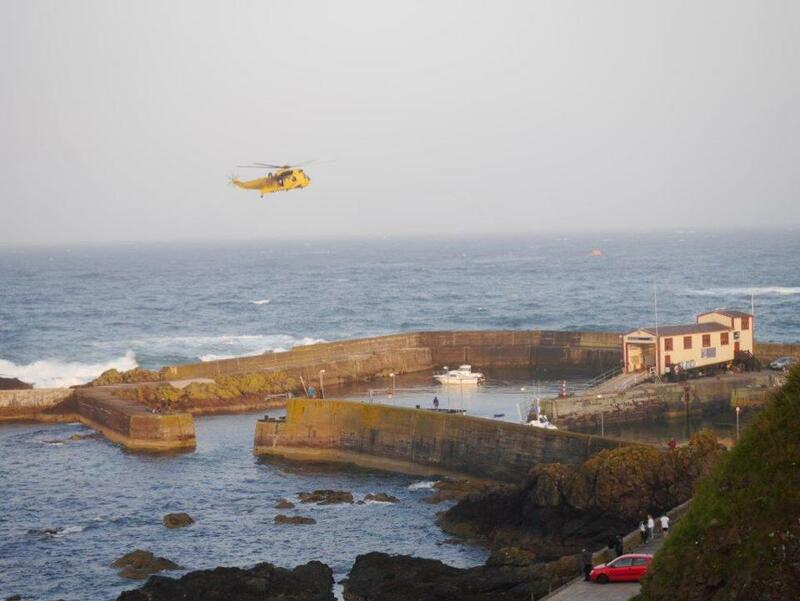 The RNLI are still proposing to close the St Abbs Lifeboat Station on the 8th September and then on the 1st October the RAF Search and Rescue (SAR) Helicopter service will be withdrawn from RAF Boulmer, Northumberland. Aftert the 1st October search and rescue helicopters will be operated by the private sector company “Bristow Group” and sadly as part of this change there will no longer be SAR helicopters based at RAF Boulmer. 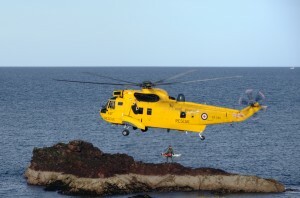 This means that instead of the helicopters only having to travel from Boulmer – 40 miles from St Abbs. The nearest SAR helicopters will now be based at Glasgow’s Prestwick Airport – 100 miles from the St Abbs – and Humberside Airport, which is 175 miles away. Winching an injured diver aboard at St Abbs Harbour. 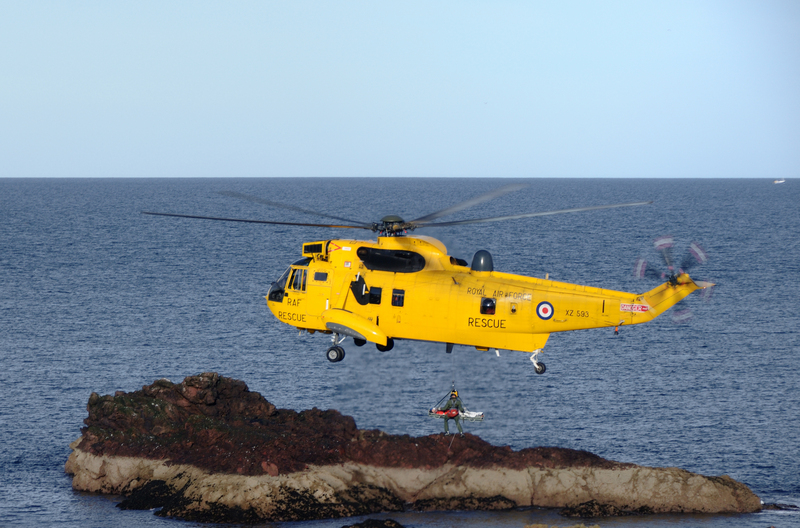 We would all (lifeboat crew, community, divers, walker, anglers, surfers, kayakers, sailors and fishermen of St Abbs) like to say a big thank you to the men and women, past and present of RAF 202 Squadron “Search and Rescue” based at RAF Boulmer for all their help over the years. 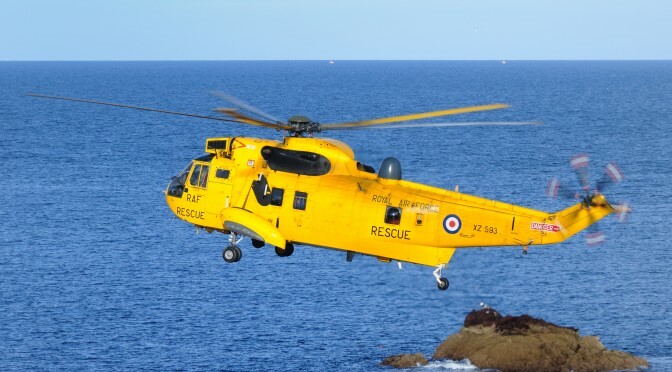 You’ve been there to rescue people stuck on the cliffs, airlift divers to the decompression chamber in Aberdeen, take our injured fishermen to hospital. And have joined us in search operations when someone has been lost at sea. 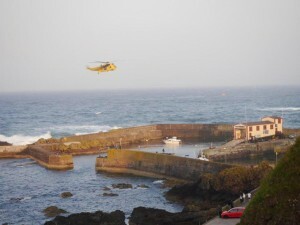 Those big yellow Seaking’s have become a real sign of hope for those in distress. 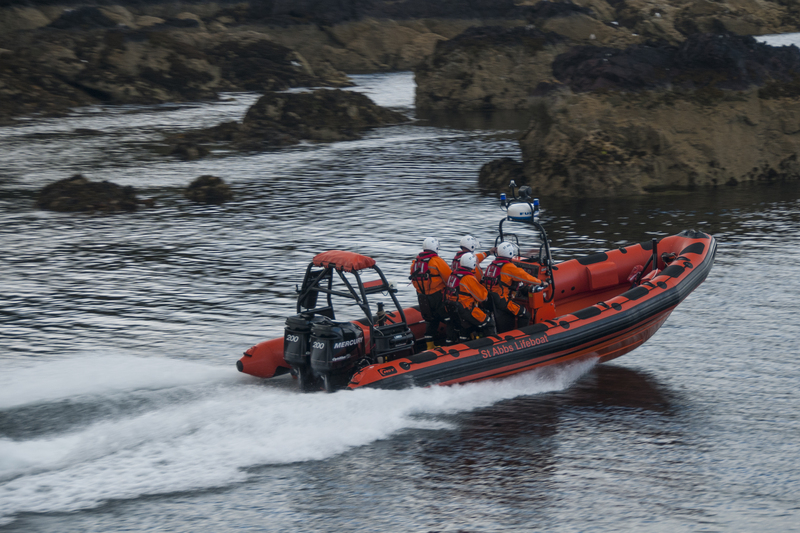 And once again on Sunday night (23rd August 2015) you joined the St Abbs Lifeboat to search for a surfer reported missing from Coldingham Sands. Luckily, after two hours the search was called off as all surfers had been safely accounted for. So good luck and best wishes for the future. For when you cease operations on October 1st you will leave a big hole in “Search and Rescue” operations in this part of the UK. 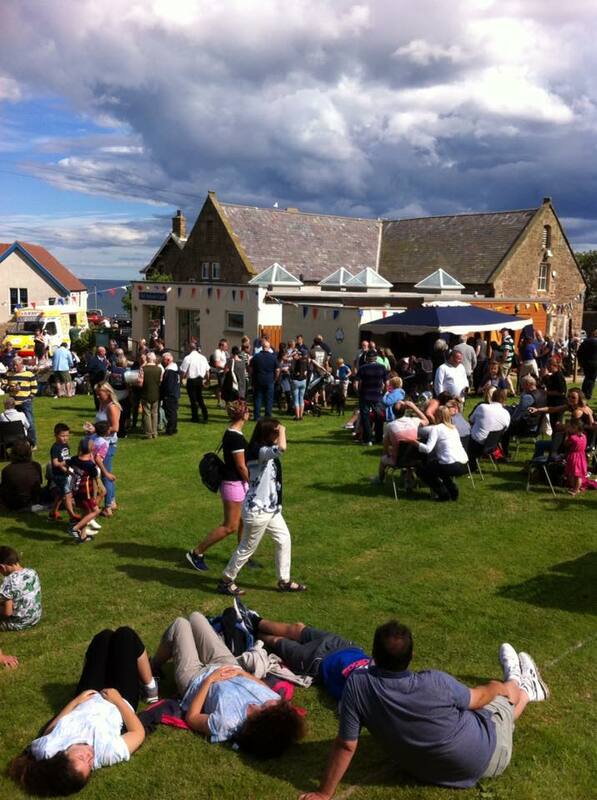 Thank you from all your friends in St Abbs.